Do you have photos, historical accounts or other items pertaining to the Pennock area? Would you like to share this historical information with the world? LakesnWoods.com would like to publish your Pennock photos (current or historical) or historical accounts on this website. Original materials can be returned and your privacy will be respected. 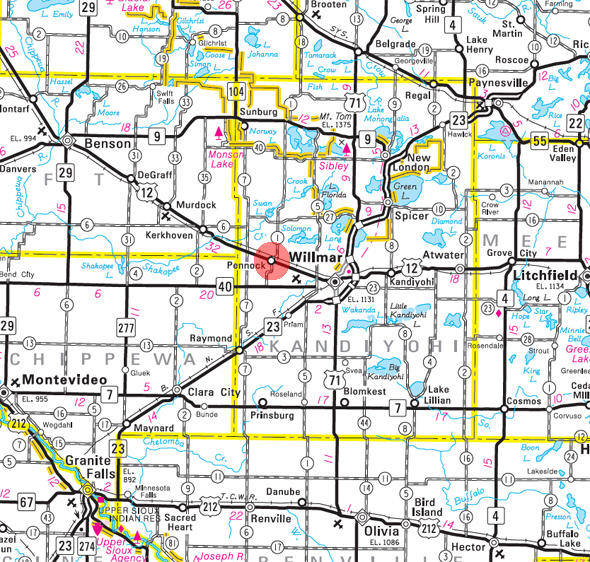 Seven miles west of Willmar on Highway 12 is the town of Pennock, which was once a water stop for the railroad. 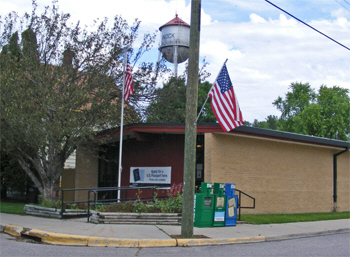 Pennock was established and platted by the railroad in 1871 as St. Johns. 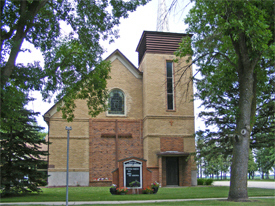 The name was changed to Pennock in 1891 and was incorporated as a village in 1903. 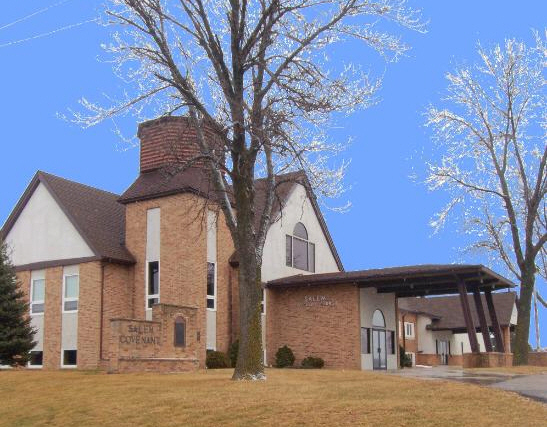 Today, Pennock is a small, yet charismatic village filled with welcoming residents. 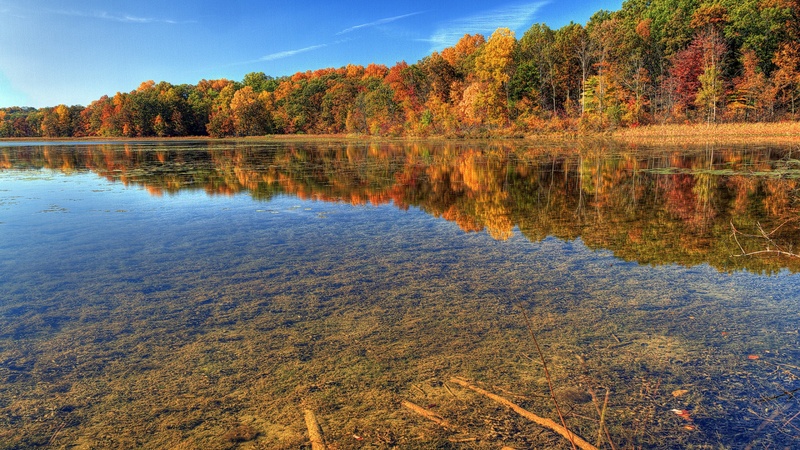 All of the amenities in Pennock provide residents with plenty of ways to stay active. 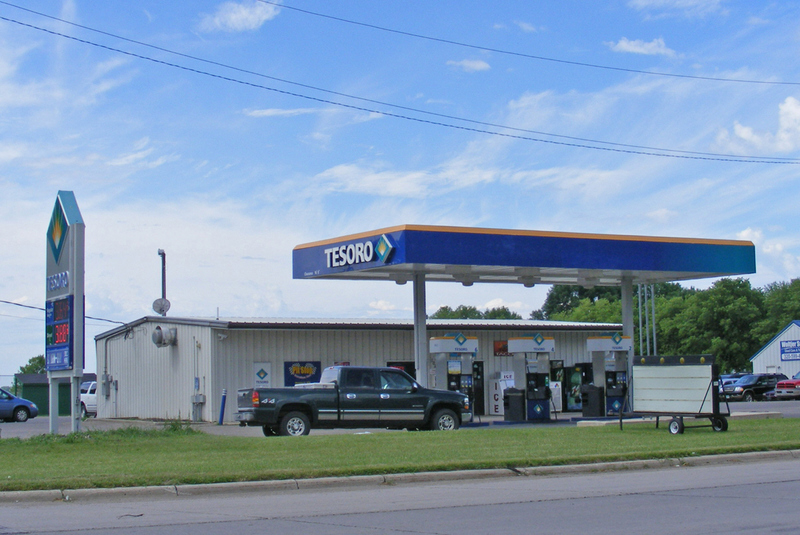 There are four parks, a baseball diamond, convenience store and a community center. 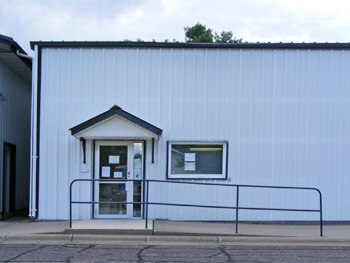 The community center is available for rental to host a birthday party, graduation, etc. There is also the new Dirk’s Fourth Addition with 28 sites available for purchase to build your dream home. 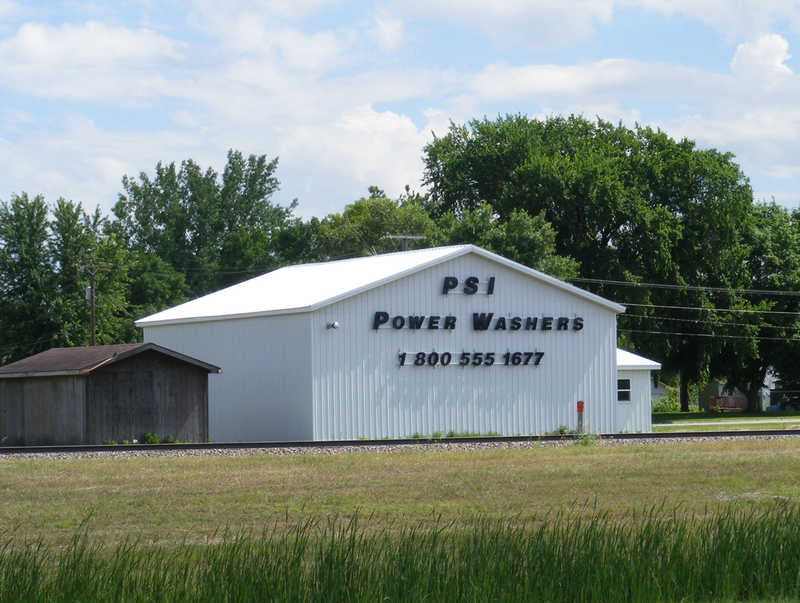 Rest assured that the entire community takes great pride in the overall upkeep of homes, businesses and yards. The town’s favorite time of year is in August when Pennock hosts its annual “Fun Days.” The two-day celebration is filled with fun activities such as a tractor rodeo, pet show, concert, community picnic, multiple tractor pulls and craft vendors. 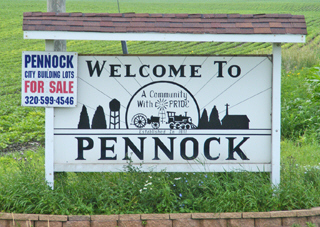 It’s an event that not only brings the community together, but also renews the Pennock pride. 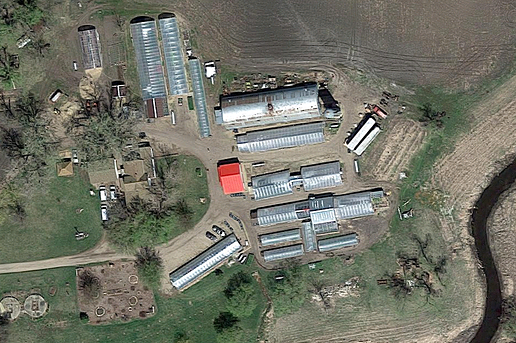 Pennock is a city in Kandiyohi County, Minnesota. 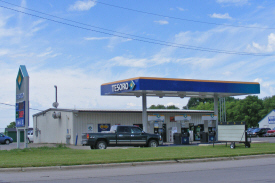 U.S. Route 12 serves as a main route in the community. According to the United States Census Bureau, the city has a total area of 1.06 square miles (2.75 km²), all of it land. The elevation is 1,129 ft (344 m) above sea level. As of the census of 2010, there were 508 people, 174 households, and 138 families residing in the city. The population density was 479.2 inhabitants per square mile (185.0 /km2). There were 184 housing units at an average density of 173.6 per square mile (67.0 /km2). The racial makeup of the city was 91.5% White, 1.4% Asian, 3.9% from other races, and 3.1% from two or more races. Hispanic or Latino of any race were 16.9% of the population. There were 174 households of which 42.5% had children under the age of 18 living with them, 60.3% were married couples living together, 13.8% had a female householder with no husband present, 5.2% had a male householder with no wife present, and 20.7% were non-families. 14.9% of all households were made up of individuals and 6.3% had someone living alone who was 65 years of age or older. The average household size was 2.92 and the average family size was 3.25. The median age in the city was 30.6 years. 28.9% of residents were under the age of 18; 12.1% were between the ages of 18 and 24; 27.4% were from 25 to 44; 24% were from 45 to 64; and 7.7% were 65 years of age or older. The gender makeup of the city was 49.2% male and 50.8% female. PENNOCK, a city of St. John's Township, section 3, founded in 1870-71 with the building of this railway, at first bore the township name. In the fall of 1891 it was renamed in honor of George Pennock of Willmar, superintendent of this division of the Great Northern Railway. 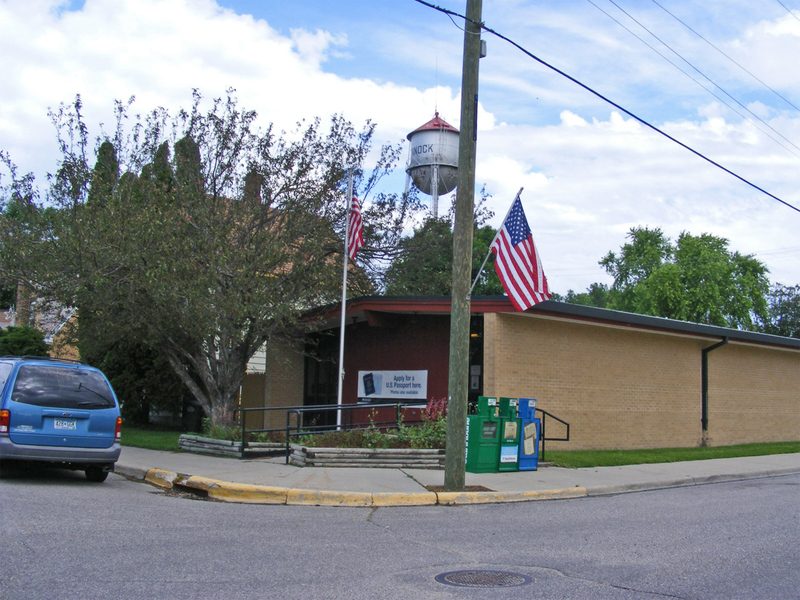 It was incorporated as a village on March 14, 1903; the post office was called St. John or St. Johns, 1871-92, changing to Pennock at that time; the first postmaster was Erick G. Berglund (1891-1935) at the hardware store he owned with his brother, C. J. Berglund; it had a station of the Great Northern Railway in section 3, first called St. Johns. 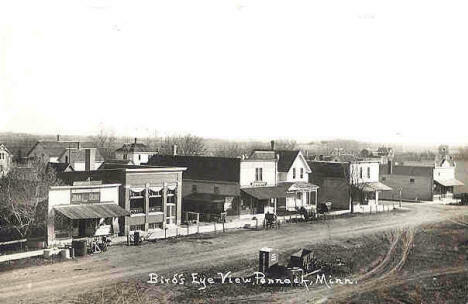 Birds eye view, Pennock Minnesota, 1900's? 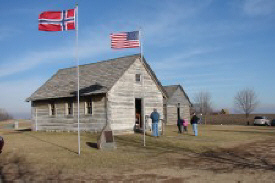 The Old Log Church is a replica of the log church built in 1868 by Norwegian settlers. 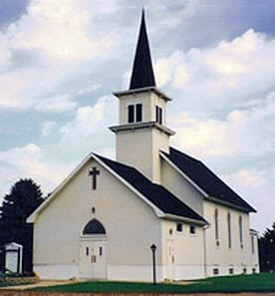 From this church, six area churches grew. In addition, there is an original log granary that now serves as an Interpretive Center and a restored log cabin originally constructed in 1861. All are open to the public and host tours by request. There are also regularly scheduled events such as Vesper Services each Saturday night throughout the summer and an anniversary celebration the third Sunday in August. Dilley’s Resort is located on the southeast side of the west basin of Norway Lake. They have 30 seasonal campsites, fishing boats, a launching ramp, swimming beach, snack bar, bait & tackle, gas, partial hook-ups, disposal station, firewood and they allow pets. We carry a large assortment of annual plants including geraniums, daisies and petunias. We will pot up any size container or pot that you would like. There will be a small fee attached for labor. We carry a small assortment of perennials for our first season. 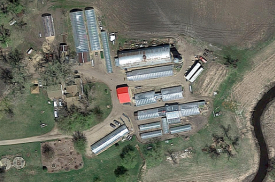 This is an area that we would like to expand upon in the future. Your personal financial professionals are committed to the growth and development of the Pennock area. At Heritage Bank, we’re not all “About Us.” We’re about you… our customers, our communities and our employees. Heritage Bank’s mission is to help people succeed financially. Jeff's Body Shop performs repairs on all makes and models of vehicles — from the smallest ding to structural damage. We use high-quality materials and state-of-the-art equipment to restore your vehicle to its original appearance. 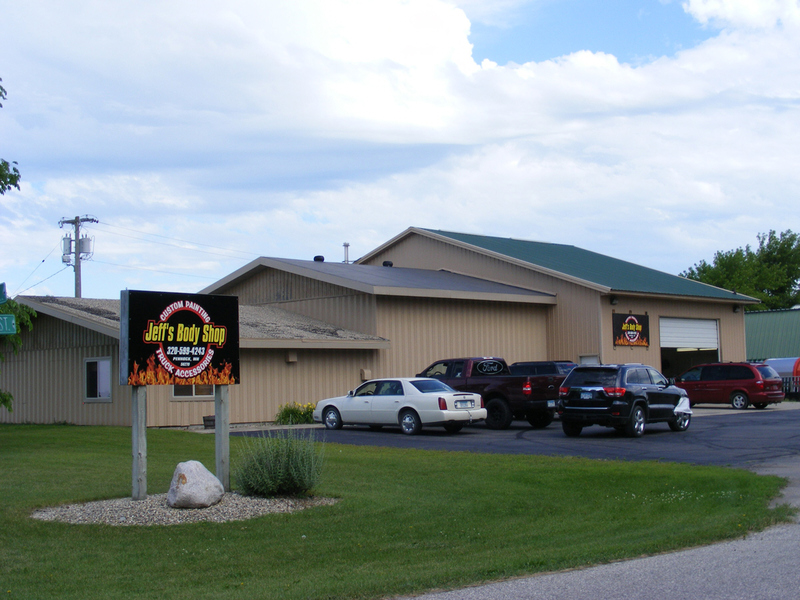 Jeff's Body Shop has been an institution in Pennock, MN since 1992, helping Kandiyohi, Swift and Chippewa counties get back on the road after fender benders, run-ins with deer and other accidents. Along with auto body repair, we also offer custom paint services, windshield replacement, spray-in truck bed liner, classic car restorations and sell used vehicles at a fair price. Joe's Auto Repair is a proud member of the Auto Value certified service center network. Our 3,500 certified repair facilities stretch throughout the United States and Canada. We’re there for you, anywhere in North America with our Safe Route Roadside assistance program. If you’re out of gas, or if the keys are locked in the car, need help with a flat tire, or when you need a jump or a tow – We’ve got your back! We are just a toll free phone call away – 877-230-0369. Midwest Sports Unlimited is a full service shop for your Motorcycle, ATV and Snowmobile needs. Put our 40 years of experience in the motorsports industry to work for you. Our experienced mechanics can tackle your most basic needs from a tire change to a full engine rebuild. Minnesota Trapline is the leading worldwide supplier of trapping supplies. Providing excellent customer service and products to our trappers is our number one priority. 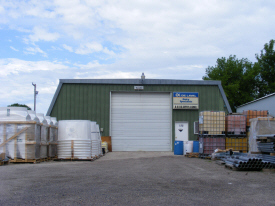 Minnesota Trapline Products, Inc. was founded in October of 1978 by Tim and Nancy Caven. MTP has grown over the past 37 years to be the single largest direct retail trapping supply company in the world. Minnesota Trapline Products branched out into the manufacturing of specialized heavy duty ("MB - Minnesota Brand") trap line equipment in 1994. 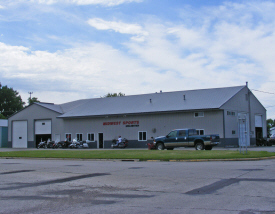 In 2010 MTP purchased the Bridger Trap Company from Terry and Jody Montgomery. Pioneer Heritage Insurance Offers 5 Convenient Locations! 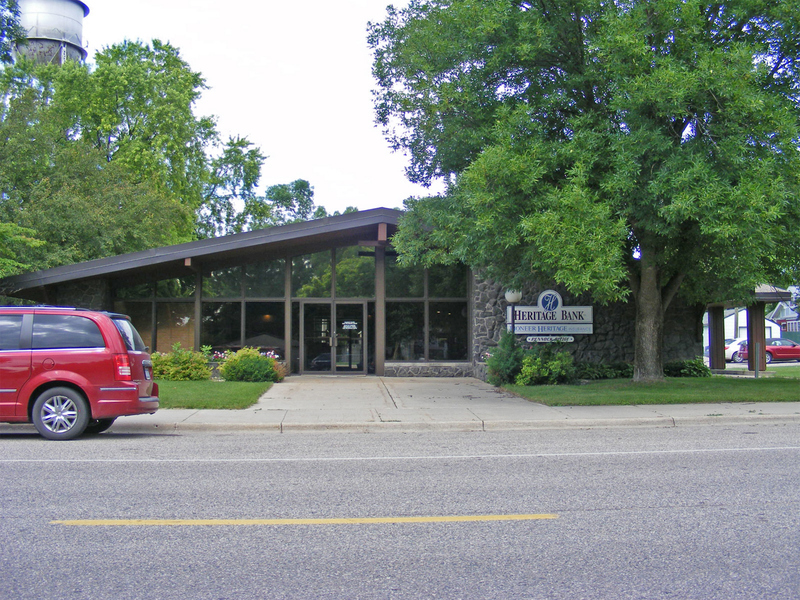 Pioneer Heritage Insurance LLC, was established in 2003 from the merger of Heritage Insurance and Financial, Pioneer Associates of Spicer, and Green Lake Agency. 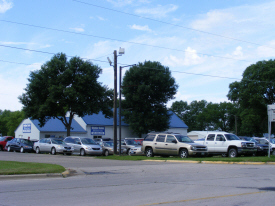 In 2012, we acquired the Willmar Insurance Agency. 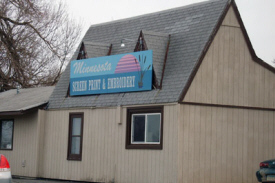 Since that time, the company has grown to include five locations at Willmar, Pennock, Raymond, Spicer and Litchfield, Minnesota, making Pioneer Heritage Insurance one of the largest independent agencies in the area. We represent a variety of highly respected insurance companies to assure you that your policy will be placed with a sound, competitive market. We are proud of our experienced staff who will personally work with you to meet all of your insurance needs. Built and designed for those who demand the highest performance. The X-treme series combines the design and engineering, highest quality materials, uncompromising craftsmanship to create a pressure washer that takes every standard of the industry and blasts it out of the water.